Denna produkt ger dig 425 bonuspoäng. Hand organs could be found on a lot of public places as an attraction. 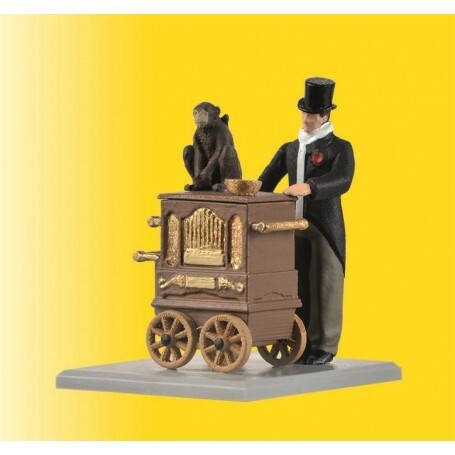 The organ grinder with prototypical moving fits on all layouts. With underfloor drive unit. Mounting depth: 38 mm. Tip: Suitable sound module item-No. 5575 provides sound according to the movement of the figure.